As most of you know by now, we - in Qld - have been racing this class in various formats since late 2005. It all started with PETG Porsche 996's and steadily progressed to the full blown GT class it is now. This class caters for everyones likes - body wise the choice includes plastic modelling kits right up to the very fansy and expensive handmade carbon fibre master pieces form Fola and Nick de Wachter. Chassis choice is similar, anything from your basic Plafit or Scholer to the very best of the best commercial runs offered by Garry Johnson, Fola, NDW and the like. I have not raced this class since 2007, so I decided to make an effort and get involved again. My choice of body has been the Scale Auto range (which you may realise has become somewhat of a passion with me). I like the bodies as they are very well detailed and has better crash resistance than normal plasic modelling kits, whilst they are still affordable - starting from $29 for a white kit. From this range I decided to choose the Porsche GTR and the Audi R8 LMS - It has been a longstanding habit of mine to build two cars and then deveolpe one against the other for maximum performance extraction. ...and my Audi (please ignore the wheel inserts on it's roof - still had to put them into my wheels of choice). 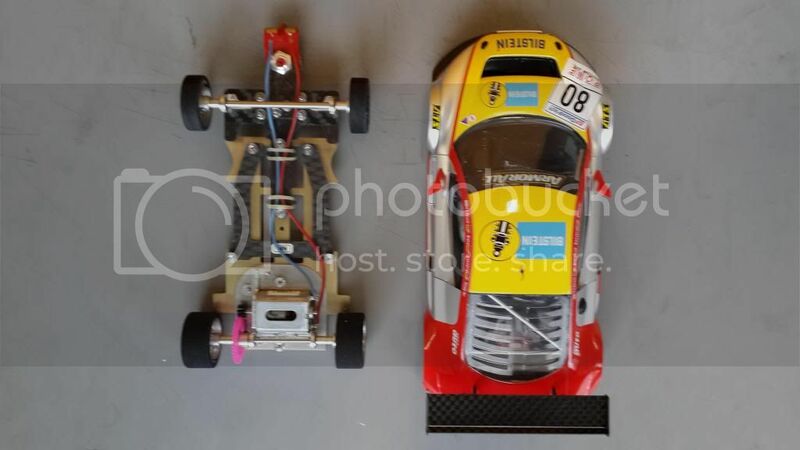 You may be wondering how I got these cars so close to the minimum weight limit - I'll get to that, but let me just say; there is no extra lead on either of the cars, only the chassis and body as built...... The minimum body weight of the class is 45 grams (both cars are the same, so I'm only showing you one). ....and here is the Audi. 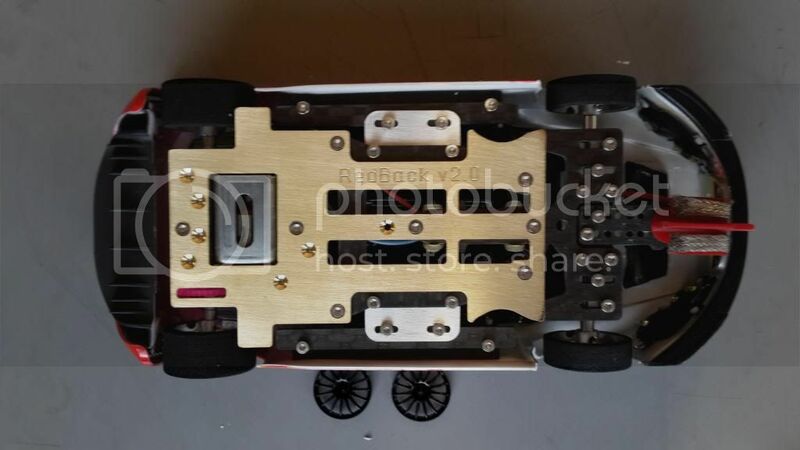 The body weight secret lies in the body mounts... DoSlot has developed this chassis system with aluminum, brass and carbon fibre body mounting plates....so you simply use the plate that will give the correct end result. DoSlot is a German company and their chief designer and engineer, Sebastian has specifically developed this chassis for the Scale Auto bodies. One can get all the correct body mountings and simply take the Scale Auto body off your Scale Auto car, then screw it on to this chassis and you have a Modern GT. Two classes, one body - too easy. (Those of you that know the Scale Auto rules, will realise that these two bodies of mine are not legal for those rules due to a few bits on them). Here is my Audi and it's DoSlot chassis, side-by-side. For the Aussie specifications, Sebastian has titled the chassis 'RedBack' and it certainly is a lethal weapon. ....a closer look at this work-of-art. Now I just have to get them to a track and race - hopefully all the local hotshots will give me a break and allow me some glory with my two new cars. Edited by Springbok Racer, 26 June 2013 - 08:18 AM. 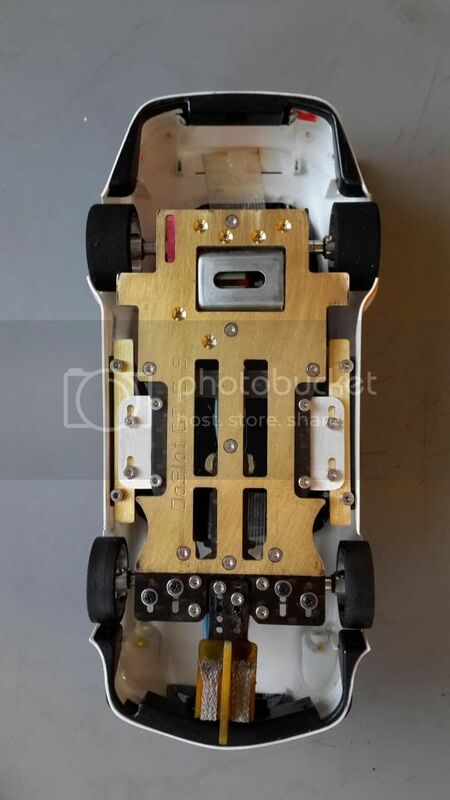 what are the options for the motor box? different springs I presume and can it be screwed down solid as well? Yes, you can change springs, screw it solid or even remove the motor box completely - whatever works for you. These are beautifully built chassis. The torx screws are a nice touch. I'm now on my 3rd chassis build [2 for me]. I'm Currently developing the chassis with different spring settings,different roll outs and tire widths. I'm sure I will get into the 5's at Narangba soon. just finished my latest modern gt. 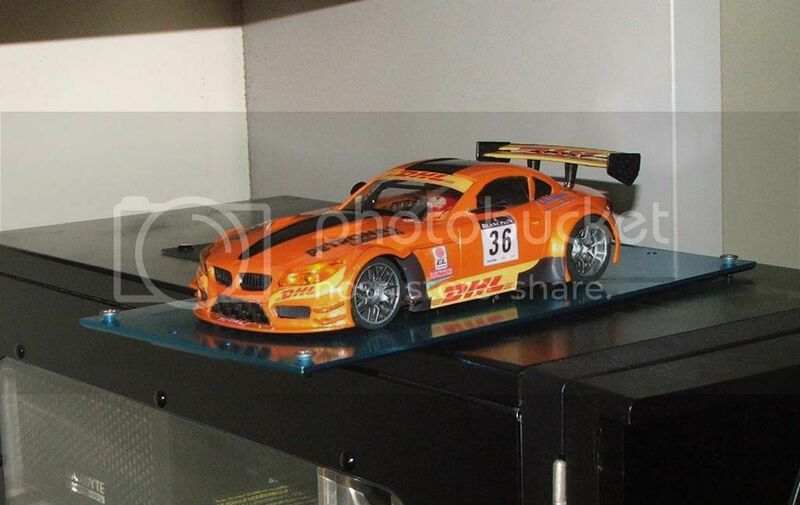 GFK BMW Z4 with scholer chassis. sure Jason.nothing over the top.just a scholer striker. 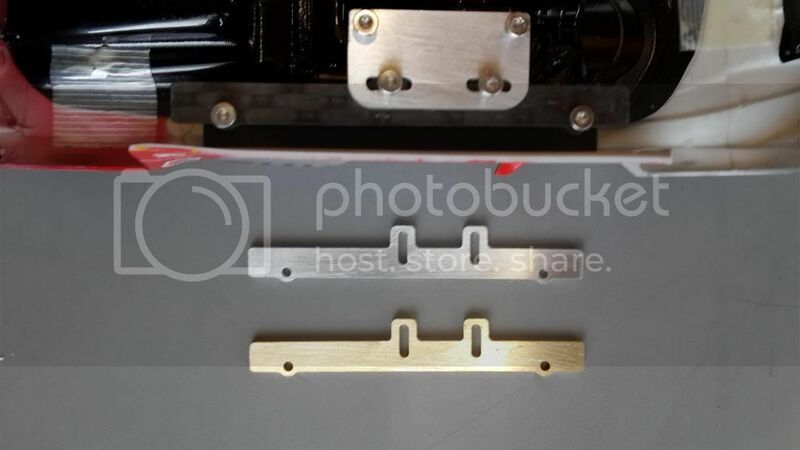 comes with 10mm brass body mounts. Edited by warrick, 01 July 2013 - 01:14 PM. just got back from its first run in race trim.some tuning to go yet but it did a best tonight of 5.95 at Andrews.still experimenting with gears & rear tyre widths,so there is more to come yet.very stable to drive though. Interesting... The Modern GT's with Fox motor's and any chassis are not much faster at Jans than a tuned Scaleauto with 1.8 clearance. 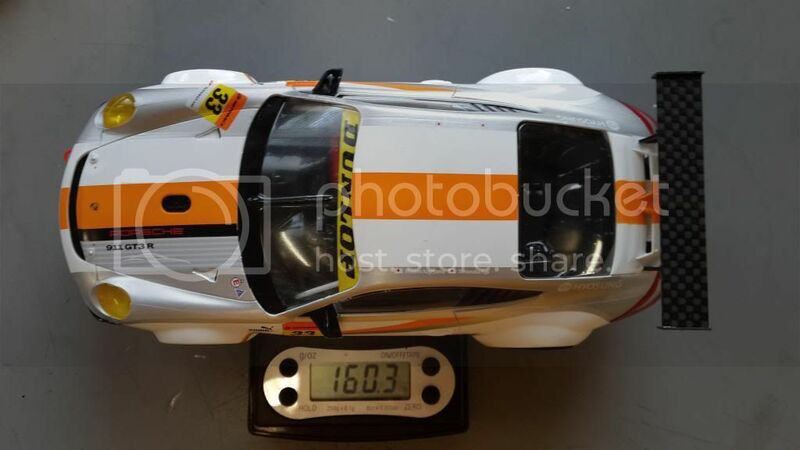 Is it worth trying the Scaleauto Chassis in Modern GT? With the rules allowing reduced tyre diameter, lighter body and chassis components and lowering to 1mm it might be fast. Its certainly got the weight down low. At Jans with 1.8mm clearance I know Noel has broken the 6 sec lap barrier and I got into the 6.2's (in a Scaleauto Enduro). So... anyone fast with a modified one at Nerangbah? Edited by axman, 21 September 2013 - 11:45 AM. Interesting...At Jans with 1.8mm clearance I know Noel has broken the 6 sec lap barrier and I got into the 6.2's (in a Scaleauto Enduro). Just a correction; the quickest that Noel has gone around on my track is a 6.125 and the fastest a Scale Auto in race trim has ever gone around my track is a 6.049. 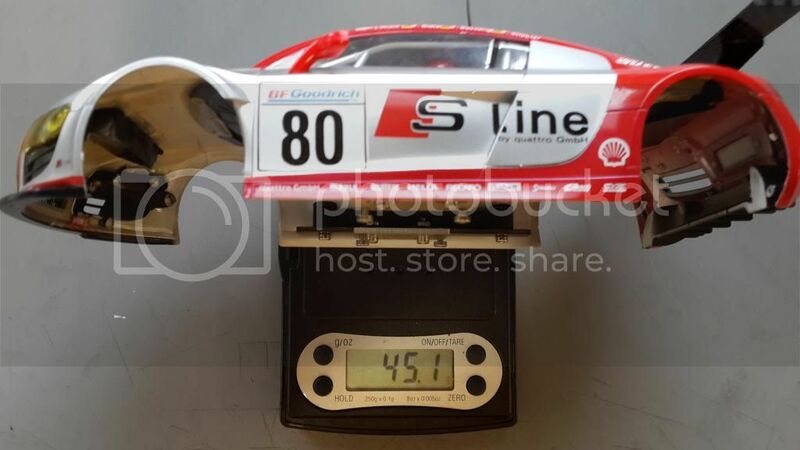 No Scale Auto of any kind have ever broken the 6 second barrier. However. it will be good to see what your suggested specs using a Scale Auto chassis will achieve. Only at Andrews track do you break into the 5's Kim with an SA. Oops.. Thanks for the correction guys... got my tracks mixed up. Edited by axman, 21 September 2013 - 02:10 PM. The best lap at Ecurie Elite.au with a Modern GT has been a 5.953. Lovely looking chassis. I am a big fan of the scaleauto cars. I can't remember a class of car i have enjoyed as much as these but perhaps it is because they are so much simpler than Plafits and all my previous experience is with plastic. 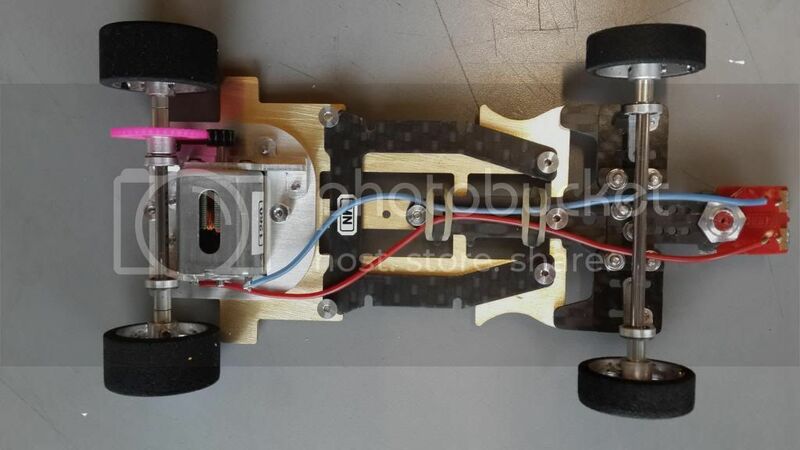 I could be wrong but it looks like a much better chassis but a less powerful motor giving a similar time? One of the good things about the scaleautos is that they punch and stop just like a real car even if they are a bit more..... hmmm 'agricultural' compared to more exotic chassis. They give a more life like experience compared to underpowered heavy cars. Would going to a more torquey motor be better or simply too much speed? Scale auto with a fox only get @ 6.0 sec at Narangba, even at 1mm ride height, a couple of people run them but they are a little off the pace. They are ok in std trim with the bigger motor getting @ 5.8 but is not really the same class of car. The fastest Modern Gt cars are doing @ 5.6 - 5.7 sec but there are a bunch in the 5.8 - 6.0 bracket. Bring your cars and have a go, remember this is a developement year and these cars will be in a class of their own next year, a true open chassis class, its great to see loads of different bodies, it is a class that if you get a body to suit a chassis you will go fast, and there are many different ones on the track already from Plafit SLPJ to SLP2 and Scholers to Doslots, they are all very similar in pace. This is an elite class and should remain this way. emphisis on detail in the bodies is a must. 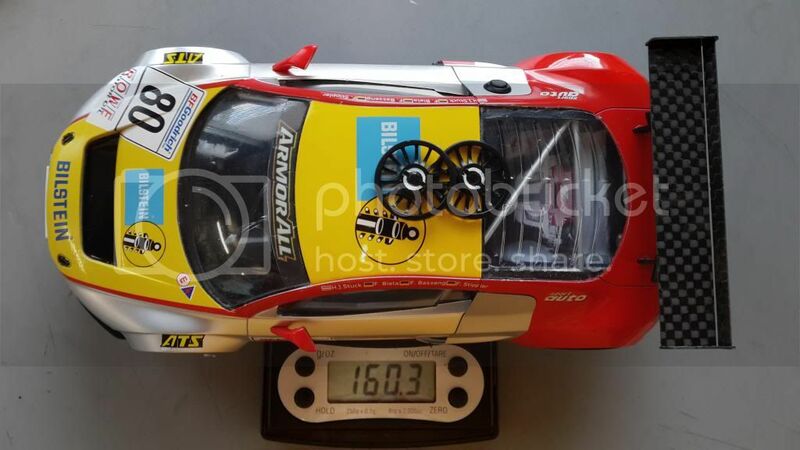 Thanks for the info Paul... as Jason says, my Scaleauto might have to go to Jeny Craig.. and go on a Carbon diet. 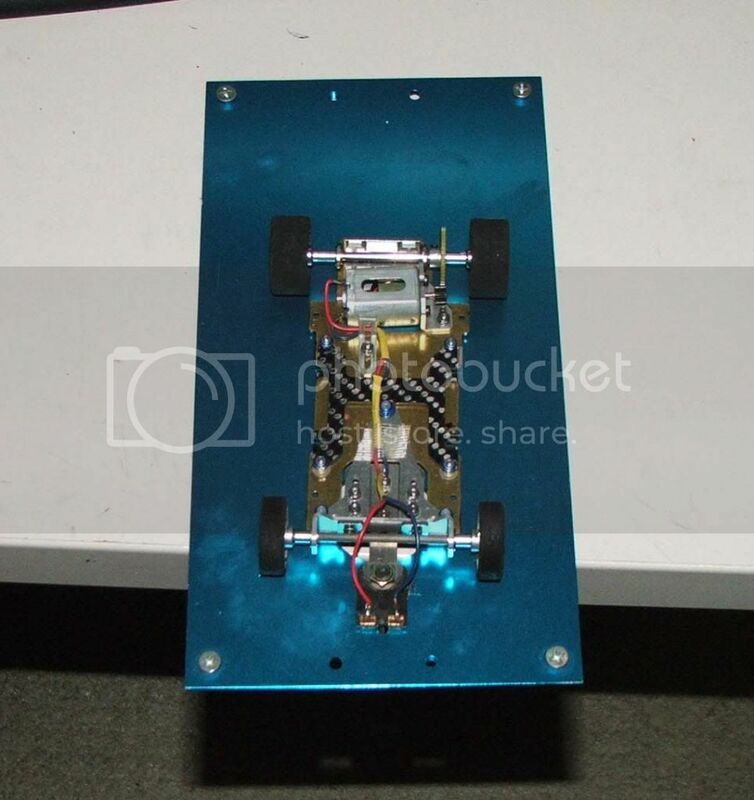 I cant see any reason why a scale auto chassis plate based car cant be competative if built correctly. I ran a standard plafit 1700 chassis last night (blueprinted and re-assembled) in its first outing with a scale auto porsche body and it will dip into the 5.7 at narangba. I only finished one lap behind werner and would have been closer if i didnt have a crash in the last bracket trying to set a fast lap on green. I'm with you on that. Also the 83mm maximum spur makes a lot of sense. Some of the bodies, especially when setup on 78mm wide main chassis plates, look like pyramids. And even worse when the maximum spur of 86mm is being run. I mean that is wider than most LMP's. Anyway, let's have a photo of your 1700 shod Porsche - inside and out.